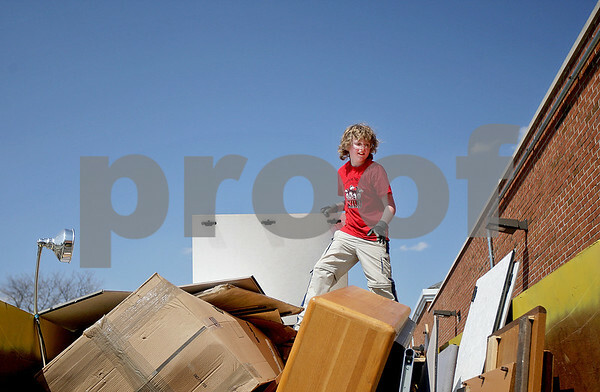 Timothy McMahon, 12, stands on top of a dumpster full of furniture and other miscellaneous items that was left in the old Dekalb Clinic, which has been vacant since 2009. The building was auctioned off last month and purchased by Timothy's father, Bill McMahon, within the last couple weeks. McMahon has plans to turn the building into a banquet hall.